Whether you’re a culture junkie, foodie or wine snob, you’ve got your pick of new openings and fab events around Center City this month. Here’s a brief breakdown of some of the highlights. 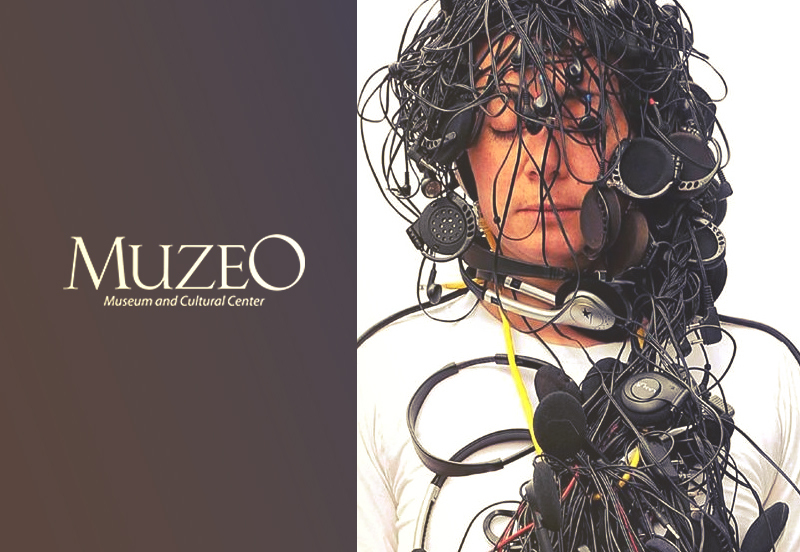 Muzeo Museum and Cultural Center is a reliable anchor of Center City’s art scene, with an ongoing calendar of recurring and special events plus noteworthy traveling exhibitions (did you see “Dressing Downton”? We’re still swooning over Lady Mary’s trousseau). The latest, “Deconstructing Liberty: A Destiny Manifested” (Aug. 5-Oct. 15, tickets $10) is part of one of this year’s most high-profile artistic undertakings, Pacific Standard Time: LA/LA, a collaborative, distributed effort between arts institutions all over Southern California, led by the Getty. Embracing PST’s overarching theme—how L.A. has shaped and is shaped by Latino and Latin American artists—“Deconstructing Liberty” includes provocative performances, installations, video and photography related to the American idea of liberty. Yes, it’s heavy. It’s also relevant, exciting, and one of those shows people will be talking about for years to come. This month also features the return of the Art Crawl Experience, the art walk that takes over Center Street Promenade for one-night only each August (and November, February and May). What to expect? Multi-sensory stimulation, thanks to the festival atmosphere, live music, food truck eats and open-air galleries. Get ready to treasure hunt, and bring your dancing shoes—this month’s A.C.E. will include a swing band and jitterbugging dance floor. Our advice: Lindy Hop like nobody’s watching, then take advantage of complimentary rides on Anaheim Resort Transit to get around the rest of A.C.E. August 19th from 6-10pm on Center Street Promenade between Anaheim Blvd and Harbor Blvd. We are totally digging the concept behind Center Street newcomer Good Things, a hybrid drink/dine/shop experience with a laid-back, California cool vibe. Guest chefs do pop-ups or you can bring your own eats and nosh while you peruse the vintage finds (emphasis on furnishings, books and vinyl). Yes, you will Instagram the heck out of this place (@goodthingsanaheim). Open Daily from 10am – 9pm. Call (714)808-9671 for more info. Meanwhile, the outpost of Pali Wine Co. now open at MAKE is pretty easy on the eyes, too. 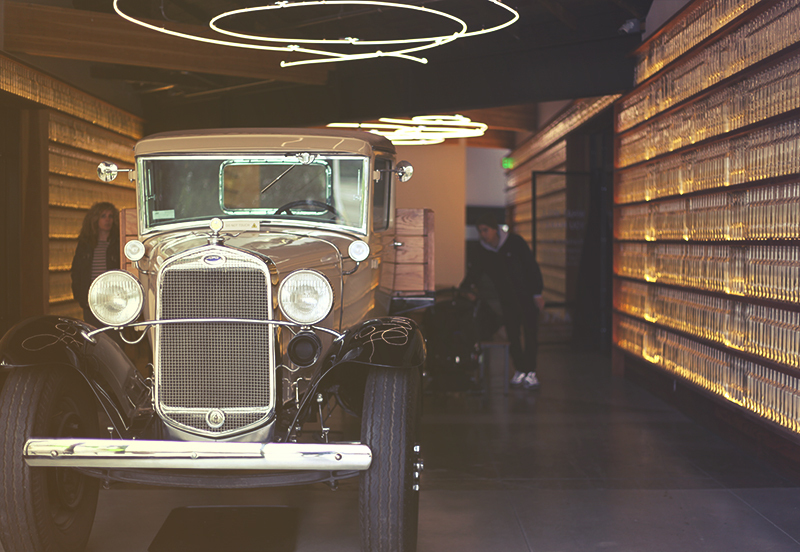 (Sidenote: MAKE’s ultracool digs, originally a Sunkist marmalade factory, just hit its 100-year mark. Happy birthday!) We love that shimmering wall of repurposed wine bottles—a primo photo backdrop if ever there was one. At Pali, Pinot Noir and Chardonnay from the Central Coast is on tap, plus the winery’s Tower 15 label, which includes French blends from Bordeaux and the Rhone. Buy a bottle to take home or head outdoors to the breezy patio for flight practice. 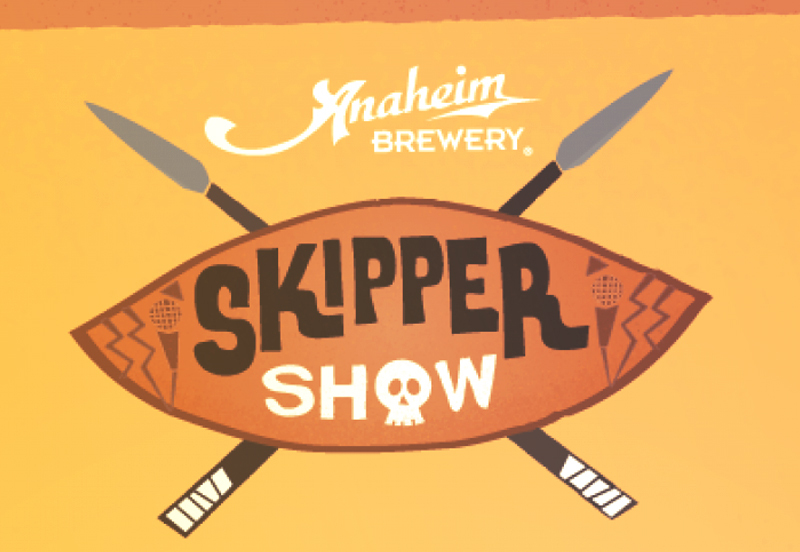 We kept hearing about “The Skipper Show.” It had all the makings of an urban legend: Comedians who were Skippers-by-Day on the Jungle Cruise at Disneyland, turned their experiences into open-mic gold doing stand-up at night. Happily, it’s for real! Unhappily, it’s ending! So corny and clever it hurts, you don’t want to miss the last outing of this improv comedy show at Anaheim Brewery. Got the scoop on an upcoming Center City event we should know about? We’re always on the hunt for inside intel on new openings, special events, one-offs, gatherings, happenings, be-ins, etc., around Center City. Send us your tip!